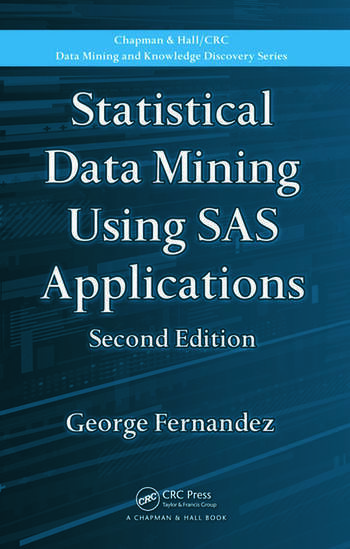 Statistical Data Mining Using SAS Applications, Second Edition describes statistical data mining concepts and demonstrates the features of user-friendly data mining SAS tools. 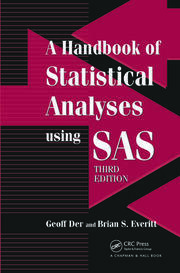 Integrating the statistical and graphical analysis tools available in SAS systems, the book provides complete statistical data mining solutions without writing SAS program codes or using the point-and-click approach. Each chapter emphasizes step-by-step instructions for using SAS macros and interpreting the results. Compiled data mining SAS macro files are available for download on the author’s website. By following the step-by-step instructions and downloading the SAS macros, analysts can perform complete data mining analysis fast and effectively. Requiring no experience with SAS programming, this resource supplies instructions and tools for quickly performing exploratory statistical methods, regression analysis, logistic regression multivariate methods, and classification analysis. It presents an accessible, SAS macro-oriented approach while offering comprehensive data mining solutions. A Summary and References appear at the end of each chapter. George Fernandez is a professor of applied statistical methods and the director of the Center for Research Design and Analysis at the University of Nevada in Reno. Its key features include the provision of case studies throughout the sections, downloadable macros and instructions on how to run them. … The step-by-step instructions and the graphical representations of data make it particularly useful to those wishing to communicate complex and technical data to a largely non-specialist audiences. Like the first edition of the book, this new edition provides a high-level introduction to some important concepts and algorithms in data mining. … the author presents broad statistical data mining solutions without writing SAS program codes. One of the nicest features of this book is that it gives access to SAS macros directly from the desktop and offers to create publication quality graphs. 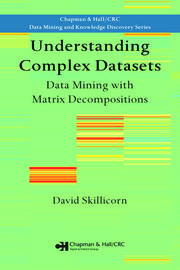 … this new edition provides a simple and straightforward introduction to data mining, along with a number of detailed, worked case studies. The macros integrate nicely with SAS’s output delivery system … . this is a book that could serve as an easy-to read introduction to some classical statistical techniques that are used in data mining, and, with the associated macros, provide an opportunity to see those techniques in action. An excellent treatment of data mining using SAS applications is provided in this book. … This book would be suitable for students (as a textbook), data analysts, and experienced SAS programmers. No SAS programming experience, however, is required to benefit from the book. … the book provides a welcome contrast to treatments of data mining that focus on only the most novel aspects of the subject. Dr. Fernandez is quite right in pointing out that a lot of data mining can be carried out by standard statistical methods in familiar packages. The book also has a healthy emphasis on the use of cross validation (a hallmark of data mining). This and other concepts are well illustrated with numerous examples. Finally, the book demonstrates that the fancy (and expensive) user interfaces sported by many data mining work benches are not essential to the data mining enterprise and might even be counterproductive.